Do you know specifics about this photograph (who, what, when, where, why)? Please let us know. 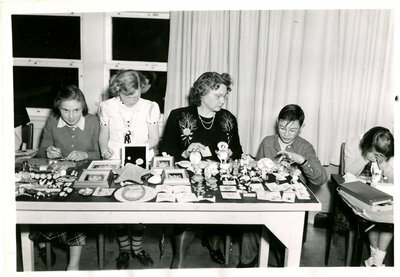 This photograph appears to be children making and selling seashell jewelery. Please contact the Terrace Bay Public Library.